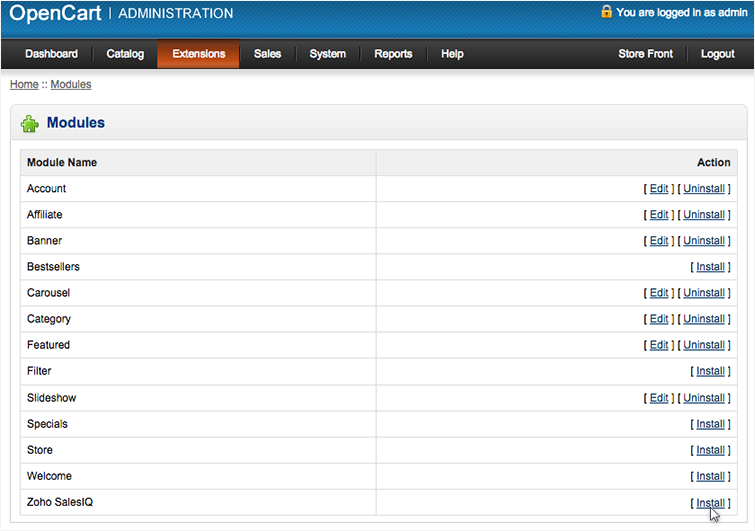 First, download the Zoho SalesIQ - OpenCart plugin version 1.5.x Zip file from here. After successful installation, go to Extensions -> Modules and click on the "Edit" near Zoho SalesIQ. 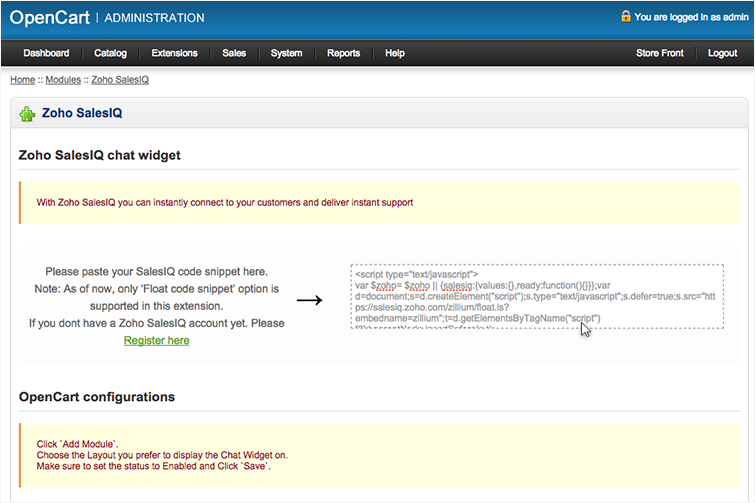 Copy and paste your Zoho SalesIQ chat widget code snippet into the text area and click "Save". How to Get Zoho SalesIQ Chat Widget Code?